High up North along the coast of Arctic Norway lie two long fjords whose names call back memories of ancestral Gods and a civilization that has now become legend. These fjords are the fjords of the ancient Norse Gods. There is a lot we modern people simply don’t know about the world the Norsemen lived in. Most of the information we take for granted comes from stories written down long after the end of the Viking Age. Archeology, while it does bring invaluable content available to us, often cannot help make sense of what it itself dug from the ground. Essentially, despite the fact that some aspect of the life, culture and history of the Vikings are pretty decently known, there’s still a lot of mystery surrounding this fascinating period, a lot we simply don’t know. One thing we don’t know is why, at the Northern edge of Scandinavia, in a region which wasn’t even all that populated during the Viking age, are two fjords named after the ancestral Gods Ullr and Balder. 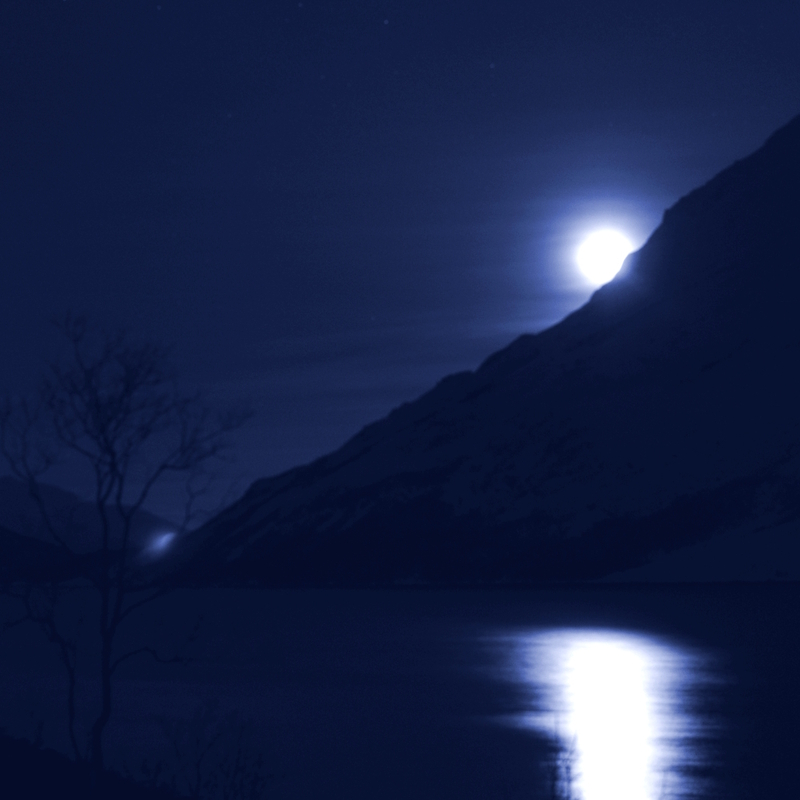 The Ullsfjord during a cold winter night. In North-Norway, just between the town of Tromsø in the West and the mountain range of Lyngen in the East are two beautiful fjords: Balsfjord in the West and Ullsfjord in the East. these locales have been inhabited since the Stone Age but as far as Archeology is concerned, Norsemen probably did not live here. Indeed, up until about 1200, All the area East of Tromsø, including those fjords, was most likely Sámi territory. During the Middle Ages and the Modern Era, Norwegian fishermen settled a few inlets and bays in this Region and by the 16th-century the Norwegian inhabitants of these fjords called them Balsfjord and Ullsfjord. In the 19th century, researchers who were looking for traces of ancient Pagan beliefs were very much interested in place-names, especially those carrying the names of ancient Gods. Incidentally enough, the (re-)discovery of Ullsfjord and Balsfjord could not really be explained. The Gods Balder and Ullr have quite a few places named after them in Southern Norway and Sweden, where Norsemen most definitely lived in the Viking Age but Ullsfjord and Balsfjord are unique for being located so far North, 500 kilometers over the Arctic circle has never been explained. 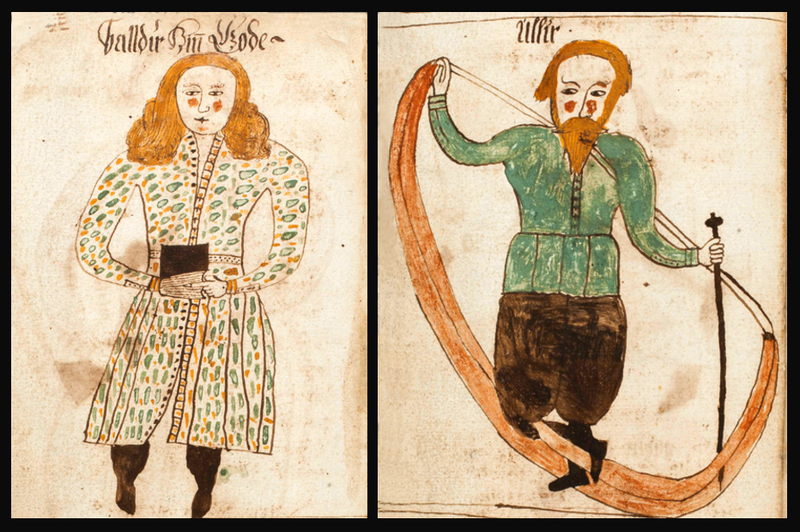 The fact that the Gods Balder and Ullr are not very well-known in their own rights does not help uncover the mystery either: Balder is associated with only one classic tale of Norse Mythology and Ullr, none whatsoever. Balder appears in the Norse myths as the victim of the machinations of the God Loki. His death kickstarts the advent of the war between the Gods and the Giants, the famous Ragnarök. Ullr, however only has one short myth attached to him: according to the 12th-century Danish History Gesta Danorum, Ullr (here named Ollerus) actually took the place of Óðinn, the supreme God when the later once went into exile. This tale also says that Ullr was such a great magician that he could ride the waves of the sea not on a ship, but on a bone. This later detail has generally been interpreted as being a reference to skiing. Balder, on the other hand has traditionally been associated with the brilliance of the Sun. Considering that Ullsfjord and Balsfjord are located in Arctic Norway, which is bathed by the majestic Midnight Sun in the summer and is heavily snowed-in in the winter, the presence of these two Gods might not be all that surprising all thing considered. In any cases, there is no denying, Gods or no Gods, that these beautiful fjords, located in one of the most pristine and majestic regions in Norway definitely can feel…out of this world. (2) Molin, John Julian (2015). Ullr, a God on the Edge of Memory. Reykjavík: Háskola íslands. (Unpublished MA thesis). (5) Saxo Grammaticus (1905). The Nine Books of the Danish History. Trans and ed. Oliver Elton. London: Norrœna Society.